In all honesty, I got bored during this one. Set in a post-apocalyptic world of sorts, where everything is run by these little dog-like robots, the episode follows one woman as she flees from them. There's not a lot of backstory given, about the world or the woman, and it's true that there's not always time for that in stand alone episodes, but a really good episode gives you enough for context, and has an engaging enough story to not require excessive background, neither of which was the case here. I wasn't invested enough in Bella to care if she made it out or not. It was interesting to have an episode so different to all others, shot entirely in black and white, and with less of an obvious moral lesson within it, but the lack of interesting technology left me pretty underwhelmed. I had mixed feelings about this one, with aspects that I enjoyed, but didn't entirely love. It's a very bleak episode, showing the desperate lengths that the protagonist, Mia, goes to, murdering an increasing number of innocents in order to protect her secret, that she was involved in a hit and run years earlier. It was certainly shocking, but where other episodes in the past (such as White Bear) have made us sympathise with a character before revealing their dark side, I hated Mia right from the start, so there wasn't much of a twist. The technology involved was the memory device, that allows Shazia to see the recollections of others in order to investigate an accident Mia witnessed, thus uncovering the truth about her in the process. It felt like a small part of the story though, which only came into play later in the episode, and wasn't that intriguing compared to tech from other episodes. I really liked the idea of the technology involved in this one, when Sara is implanted with a chip that allows her mother to track her location and health, as well as control what she sees, but the delivery of the storyline was quiet blunt - no hidden pasts or sudden reveals in this one to shock you at the end. It was fairly apparent where the storyline was going, as Sara grows angry and resentful of her mother's helicopter parenting. I would have liked some more exploration on the psychological effect on Sara, of growing up so sheltered from the world, then suddenly being exposed to its violence when her mother turns the device off - her being such a normal teenager seems a bit unlikely. It certainly gets dark and gritty and visceral, elements I liked a lot, and it was interesting to see a parent-child relationship for a change, but the delivery was just a bit too in-your-face to be totally effective. This episode was a slow starter for me, and I wasn't sure I was going to enjoy it until about halfway through. It involves Nish visiting the 'Black Museum', where its curator, Rolo Haynes, tells her the stories of the artefacts it contains, leading into several vignettes about the different technologies, which are all interconnected through his role in them all. It felt similar to the White Christmas special episode, with the different stories; but I felt that made sense for White Christmas, which was a special one-off, but was less convinced of it this time round. Each story was fascinating on its own, and their connection did make sense, but I would've preferred one longer story instead. I did enjoy this one overall though, and there's some very interesting moral issues being explored, and a good couple of twists at the end. I wasn't sure if I was going to like this one, from the promotional material, as the Star Trek parody felt a bit too gimmicky. However, it was massively redeemed when I started watching and discovered the storyline; the Star Trek world is part of a virtual reality online game, but its creator, Daly, has created his own secret part of it, where he uses DNA to create digital clones of people he works with, who keep all their memories of the real world, and forces them to praise him within the game or he punishes them. It's a fascinating look at ideas of ego and authority, and the amount of control Daly has is nightmare-ish, as he can manipulate their physical bodies and recreate them if they die inside the game, keeping them trapped forever. The cast is also one of my favourites, as I was more emotionally invested in these characters than many of the other episodes. There's also a lot more comedy in this episode than most others, keeping a interesting mix of the dark and horrifying, with lighter moments of humour, finished with a sort of ambiguous ending. Definitely my favourite of the series, in no small part due to the chemistry between the two leads, Frank and Amy. I've mentioned in many episodes of this series that I wasn't emotionally invested in the characters, but with these two, I was rooting so hard for them. 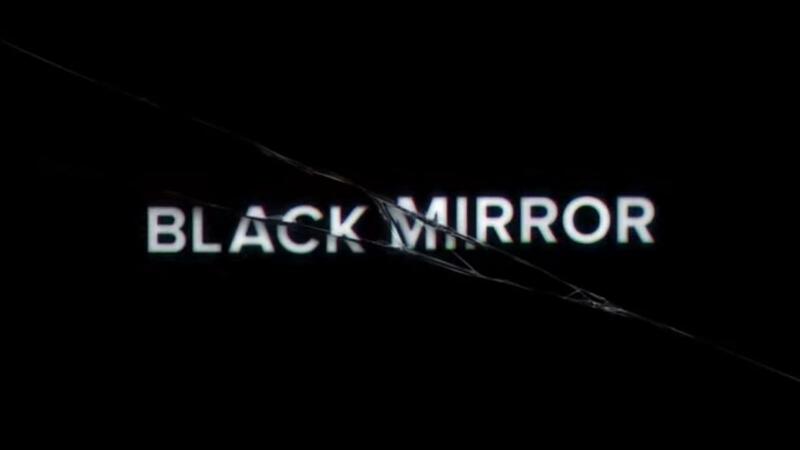 And of course, with a Black Mirror episode, you don't often get a happy ending, so I was pretty nervous, but delighted to see a happy ending for a change. This might make it a less effective episode for some people, as there isn't much of a moral lesson, but there is still exploration of darker sides to society, as Frank and Amy live in a dystopian society where their relationships are dictated for them by technology, taking them through a series of dates and relationships before leading to 'The One'. It does feel a little like a YA film, as Frank and Amy rebel against the system, to escape and be together, but it's an accurate take on the world of modern dating, where people meet online, and often go through strings of Tinder dates. The world they live in feels a little odd and underdeveloped, but this makes sense with twist at the end, which was my favourite, revealing that the whole thing was a simulation inside a dating app, which is setting up Frank and Amy in the real world, revealing that they are indeed meant to be together. It's a simple story really, but its success comes from the chemistry between its lead characters, and its satisfying and uplifting ending, giving many of us hope in this bleak world of modern, internet dating! What were your favourite and least favourite episodes of the series?